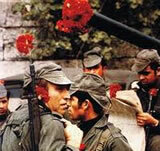 It has suited politicians throughout the decades to declare Portugal's 1974 revolution 'bloodless' with happy soldiers walking around with carnations stuck in their rifle barrels and a general feling or relief and bonhomie across the land. One part of this rose-tinted view of history is incorrect - the revolution was not 'bloodless' as four members of the public died after being shot from the roof of the DGS building in Lisbon's Rua António Maria Cardoso on the afternoon of April 25th, 1974. Freedom Day, Revolution Day or simply, Carnation Day, the 25th of April is a national holiday commemorating both the 1974 military coup and the first free elections on that date in 1975. Duarte Lima, the PSD's former parliamentary leader, is still free despite being convicted of fraud and money laundering in 2014. Lima’s planned jailing on Tuesday has been delayed as the judge responsible for issuing the arrest warrant is not the same one who sentenced him in 2014. The Council of Ministers is expected to approve a decrease in VAT on electricity from 23% to 6%, now that Brussels has given the green light to the reduction. 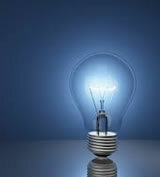 The decrease in VAT is only for those customers whose contracted power is 3.45 kva. Lagos Council is buying three large plots of land on which to build around 100 council houses. The proposal to spend €1.225 million has been approved by the Council executive and needs now to be voted on by the general assembly. After asking for a glass of water or information about the area, three men entered pensioners’ houses, assaulted and robbed them. The trio have been operating in Faro and Olhão and were arrested on Monday, April 22, by the GNR. The Algarve Hotel Workers Union leader wants the Employment Authority (ACT) to adopt a "more coercive" attitude towards employers who fail to comply with their legal obligations towards workers. Union boss, Tiago Jacinto, has complained about ACT's lack of action and handed a formal complaint to the inspectorate in Faro on Tuesday. 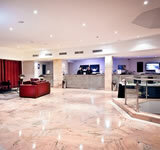 Albufeira’s wine show, billed as the third largest in the country, boasts over 100 exhibitors this year. The event, which is now in its tenth year, has the approval of the Confraria Bacchus and is being set up by the local Council.